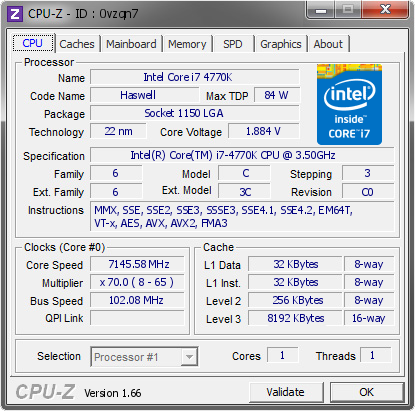 Hardware Team Power Points (HTPP) Not TeamChina's best Core i7 4770K submission. 5 year and 7 months ago – The same 4770K work hard with Hero,Thanks for MSI、Avexir 、Antec ！I will keep this 4770K as long as I can. Good chip~Next run more than 7.15GHz! Well done guys ! 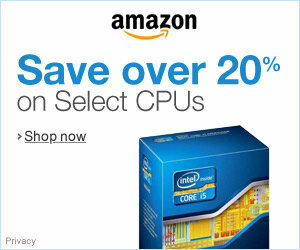 This CPU is crying for some benches, keep pushing it ! wooooow this CPU would win in MSI MOA freestyle WR round ^^. Keep pushing it guys amazing cpu!! Batch L310B?